A good football uniform always starts with the helmet design. And in that regard, the Jacksonville Jaguars have made a huge improvement. Then again, they had nowhere to go but up. The Jaguars' new uniform set, which was unveiled today, officially marks the end of the line for the team's two-tone helmet. The strange-looking design -- half-black, half-gold -- was introduced in 2013 but never made sense and never looked right on the field. 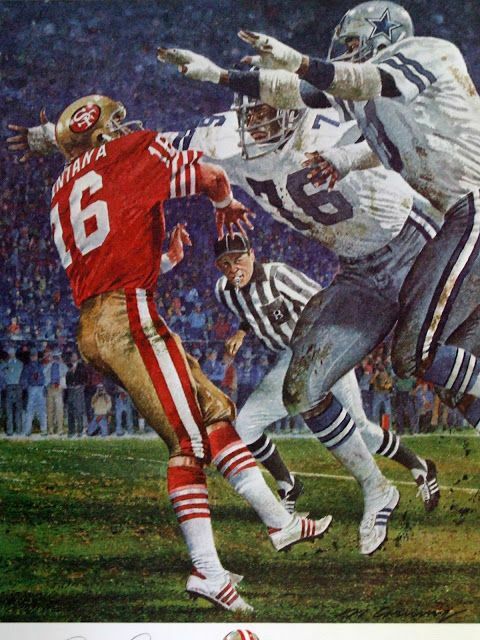 Many observers (including this one) considered it to be the worst helmet design in NFL history. That helmet, thankfully, is now gone. In its place a standard glossy black shell with the team's familiar primary logo. 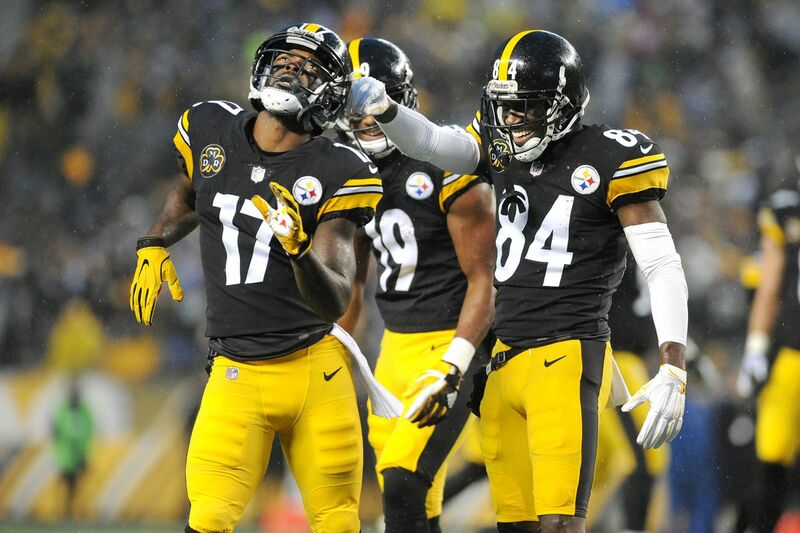 Based on this move alone, the team's new uniform set is a significant upgrade. But we're getting ahead of ourselves. Let's take a closer look at the Jags' new uniforms, one element at a time (with the usual caveat that we'll need to see these uniforms on the field before rendering a final judgment). The Jaguars can't seem to make up their minds about their color set. Their original uniforms (which your friendly uniform columnist loved) featured teal, gold and black -- a sensational color combo. In 2009 they eliminated the gold trim, and then in 2013 they brought it back. Now they've eliminated it again. 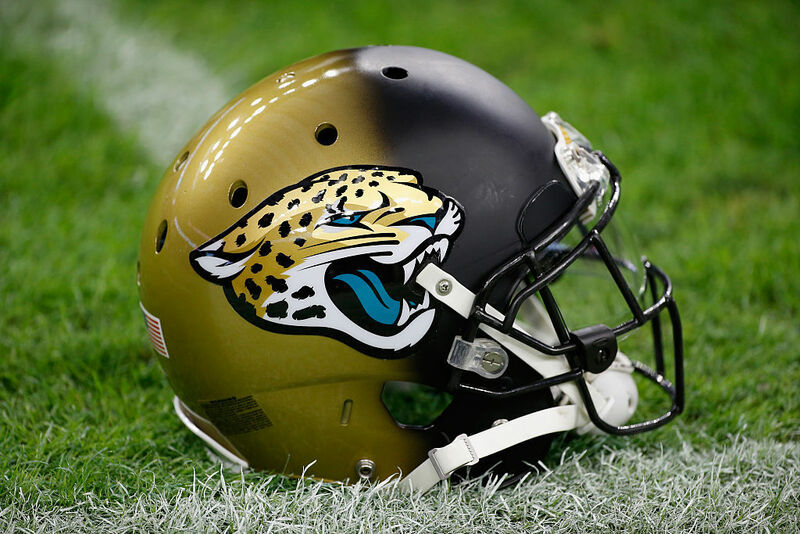 The Jags have been hinting about this in various ways for the past month or so (their 2018 NFL draft cap, for example, which was released last week, says "Black and Teal" -- no mention of gold), so the loss of the gold trim isn't a surprise, but it's still disappointing. 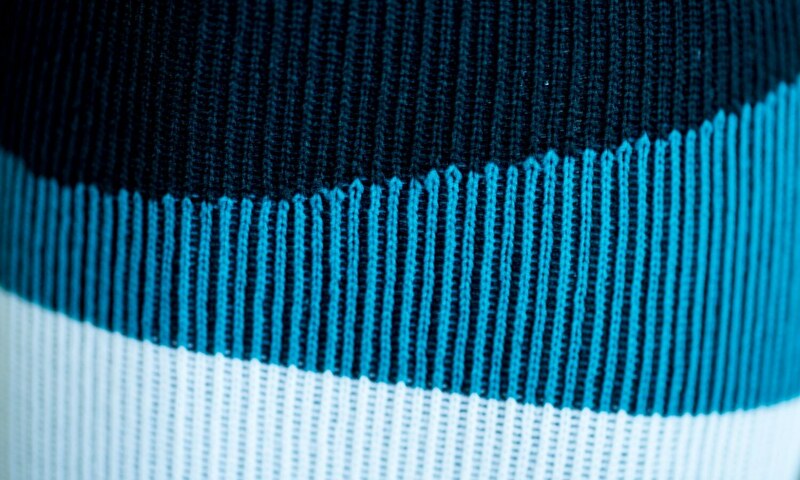 The gold elements paired beautifully with the black and teal, added warmth to the overall design and made sense for a team playing in the Sunshine State. Reducing the color palette to black, white, and teal -- essentially what the team wore from 2009 through 2012 -- feels like a step backwards. It's not a terrible color combo, but it's not as good as it could be -- or as good as it once was. Let's start with the good news: The number font is fine, and the sleeve color matches the rest of the jersey, both of which are upgrades over the previous set. But there are problems. 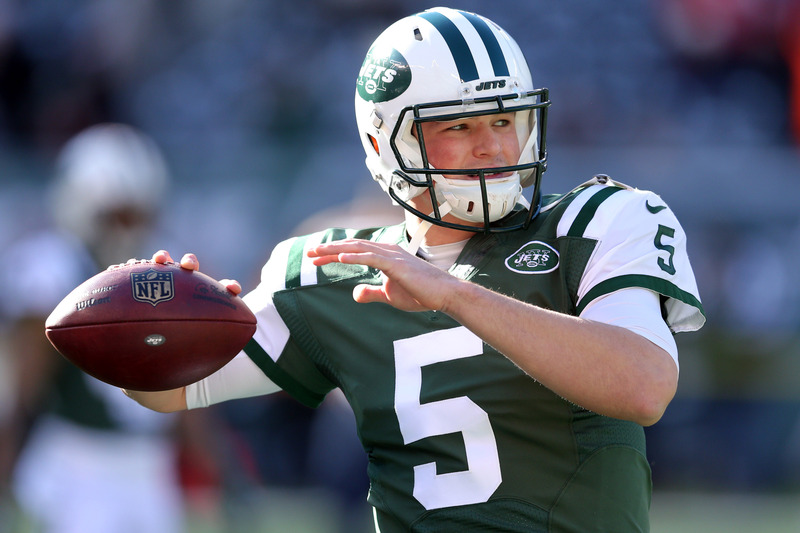 The lack of outlining on the numbers feels too plain, and what's the deal with repeating the helmet logo on the chest? 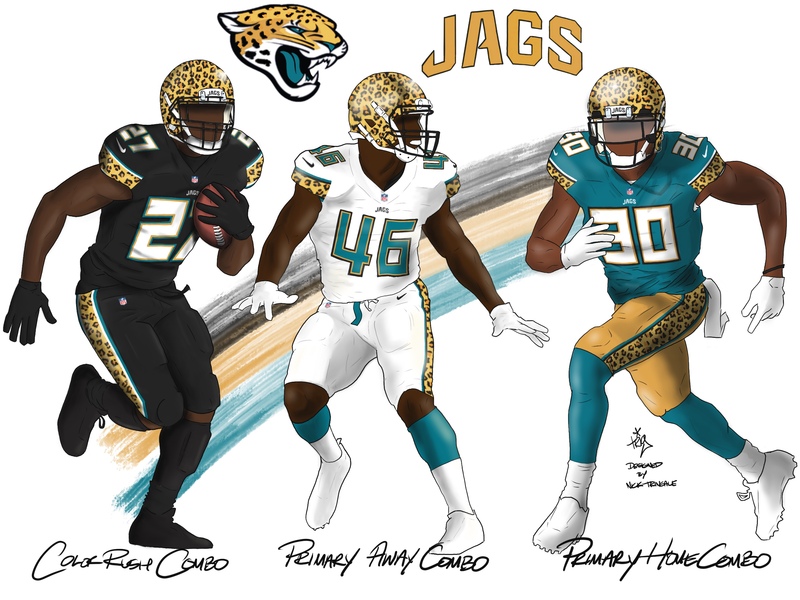 This type of element generally adds needless clutter, but a team can maaaaybe get away with it if the logo is a defined shape, like a circle, an oval, or -- as the Jags themselves have shown -- a shield. But the free-floating jag's head, with nothing to anchor it, feels too random. 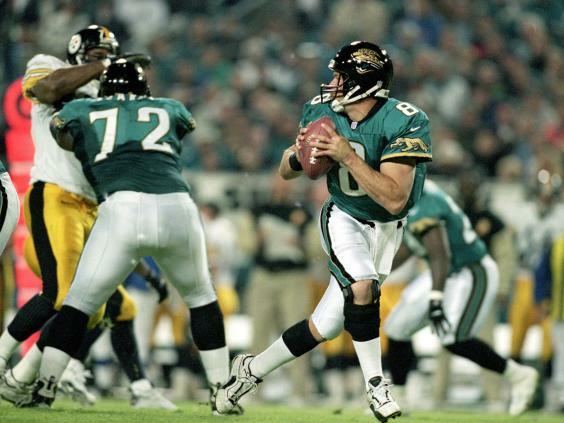 Paul Lukas really hopes the Jaguars add that Mark Brunell-era throwback to their wardrobe. If you like this column, you'll probably like his Uni Watch Blog, plus you can follow him on Twitter and Facebook and sign up for his mailing list so you'll always know when a new column has been posted. 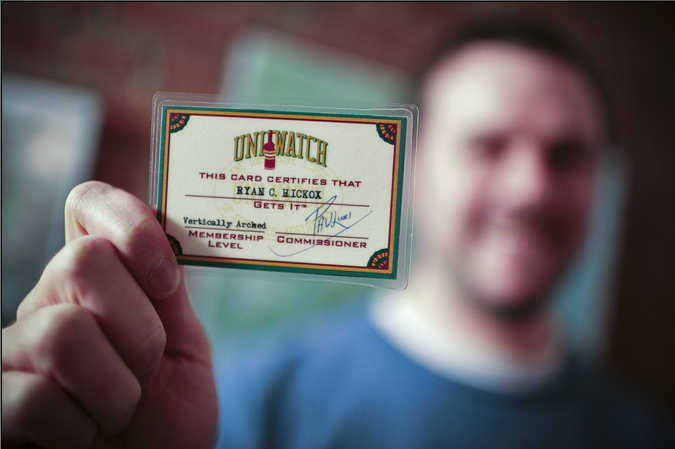 Want to learn about his Uni Watch Membership Program, check out his Uni Watch merchandise, or ask him a question? Contact him here.